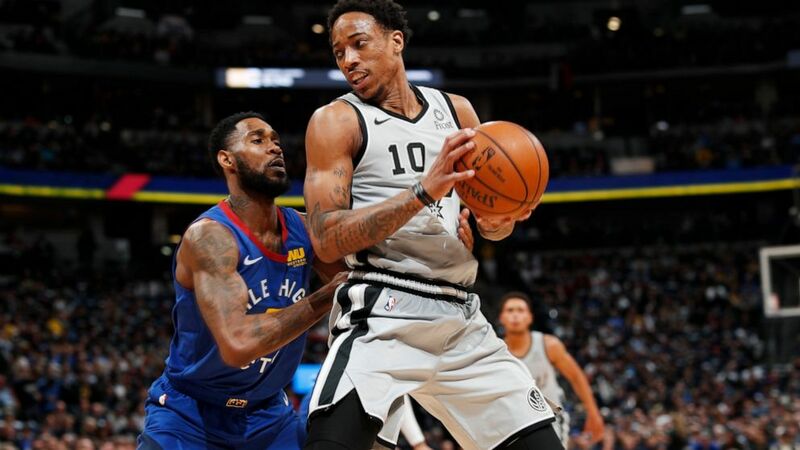 DeMar DeRozan scored 18 points and Derrick White had a key steal in the closing seconds in the San Antonio Spurs’ 101-96 victory over the Denver Nuggets on Saturday night in Game 1 of their playoff series. San Antonio: The Spurs have won five of six playoff series against the Nuggets with their only series defeat coming in 1985. … The Nuggets held San Antonio to 13 points in the third quarter but managed just 17 themselves. Denver: The Nuggets are 6-21 against the Spurs in the playoffs. … The Nuggets have lost seven of their last 12 home games against San Antonio. … Denver won the Northwest Division title for the first time since 2010. … Denver missed eight free throws.